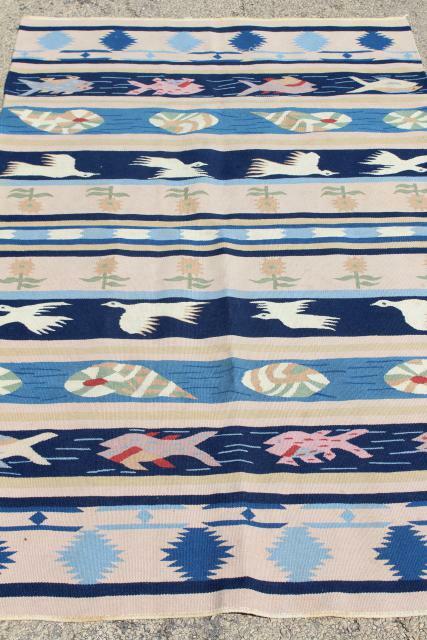 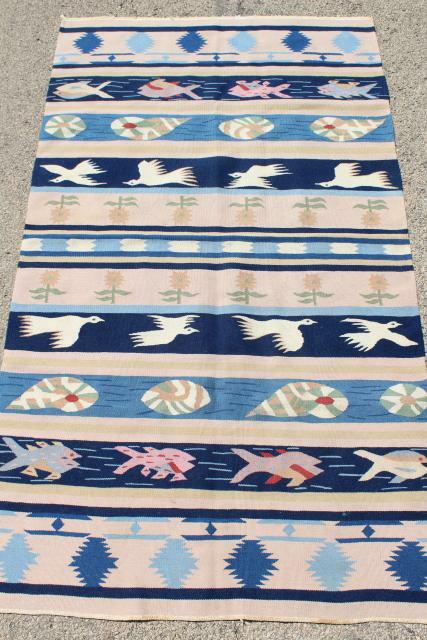 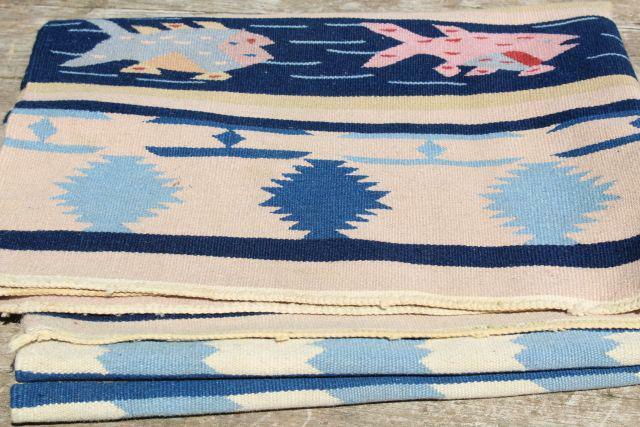 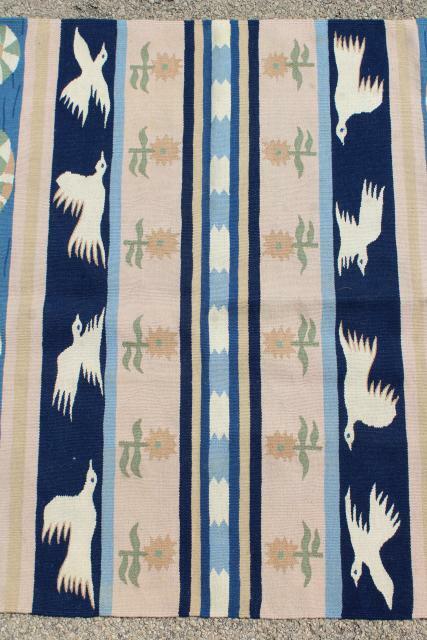 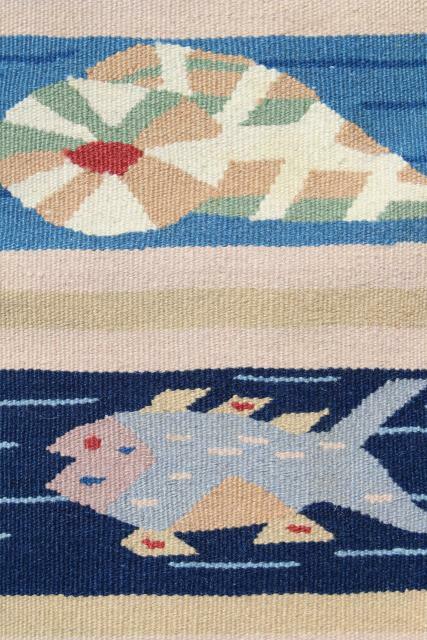 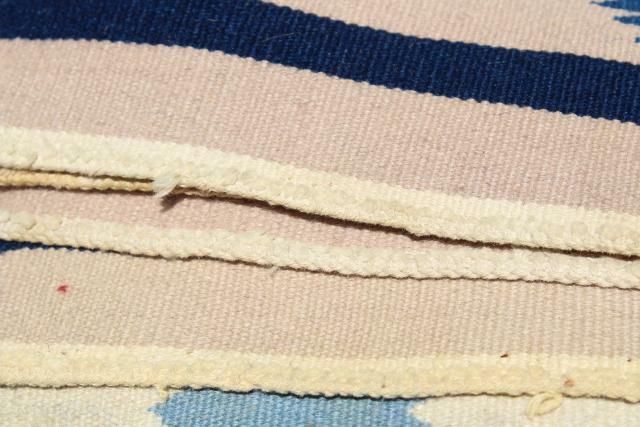 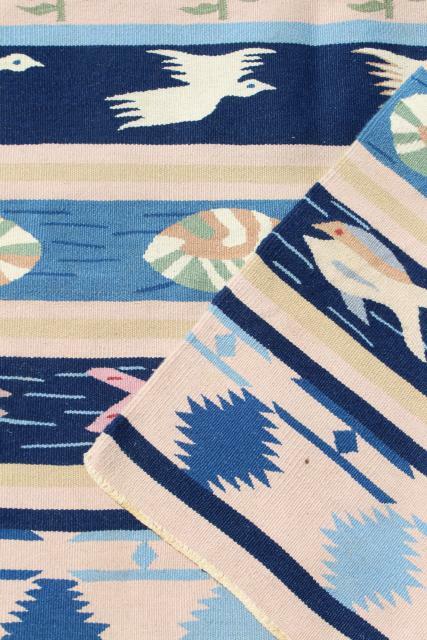 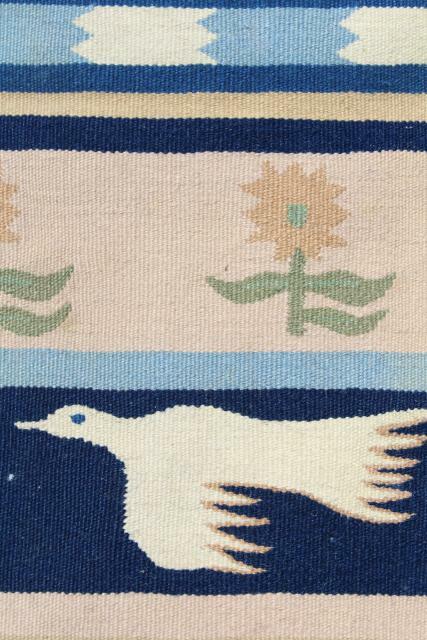 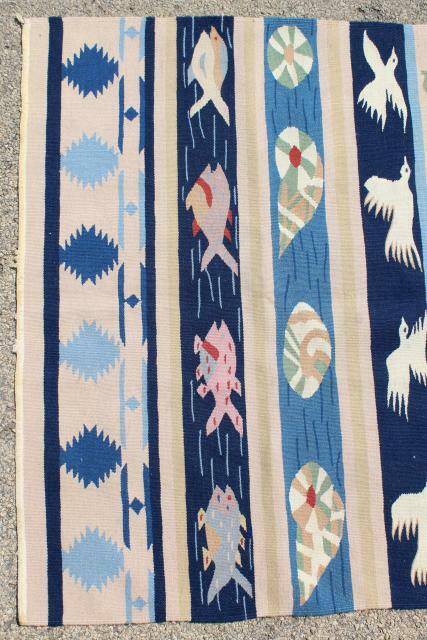 Woven wool or wool blend rug with a coastal theme - seashells, sea gulls, fish! 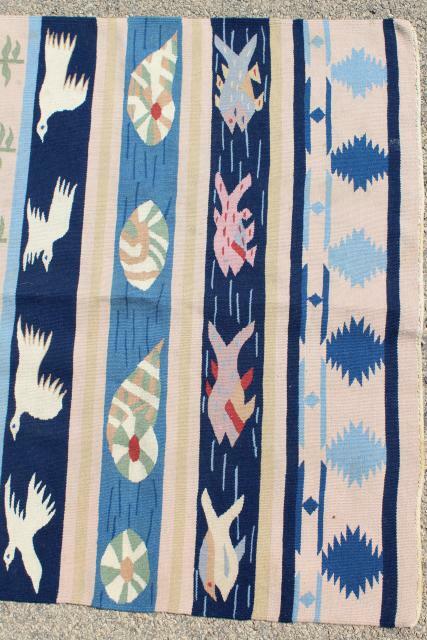 Measures 36" x 52". 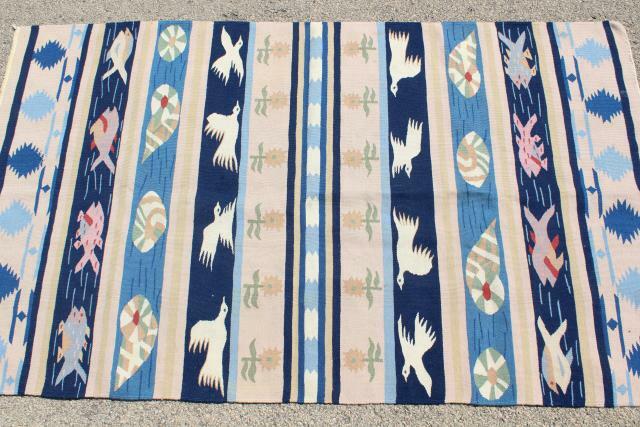 This is in nice clean condition, a new or almost new piece in very good shape.